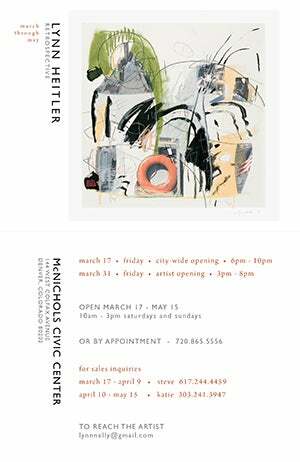 Lynn Heitler is a Denver-based artist with a national presence. 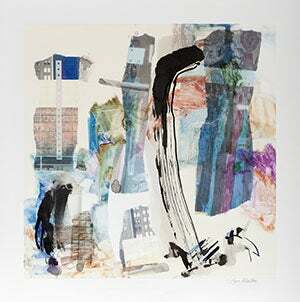 The works in this retrospective show are primarily monotypes, etchings and monoprints. 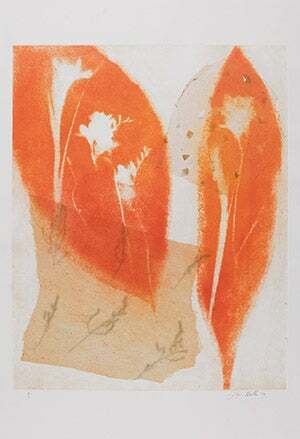 Lynn has worked with four master printers located in Colorado and New Mexico for more than 30 years and has exhibited in 15 galleries in the U.S.
Lynn majored in Art at the University of California, Berkeley, studied art at the Corcoran Museum School in Washington D.C., and calligraphy at the Cambridge Adult Education school in Massachusetts. 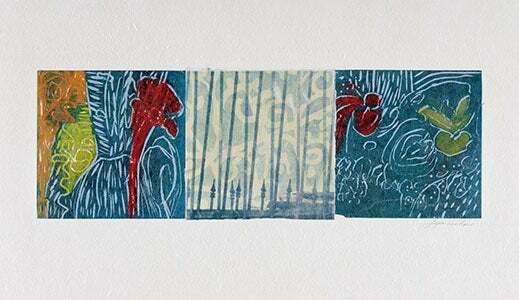 A number of her paper works start with a base of calligraphy and other imagery, and then layered with inks and chine-collé materials to give depth and richness to each unique work of art. Each print might go through the press as many as six times. 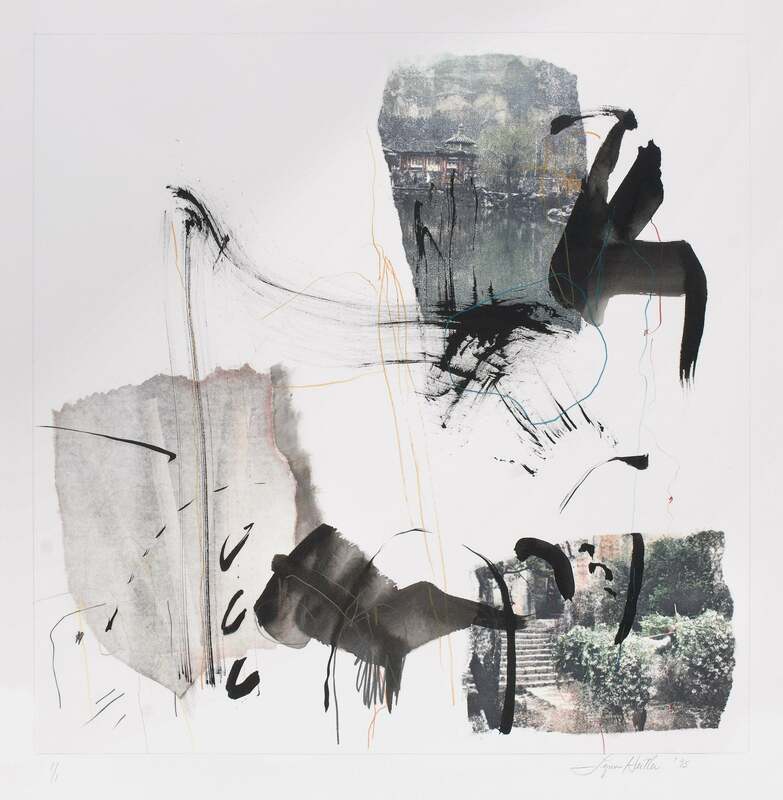 Lynn's works are heavily influenced by Robert Rauschenberg. Ten years ago Lynn Co-founded LYNNEL Art to Form, a company which prints her art work on glass, acrylic and fabric for commercial and residential projects throughout the country. 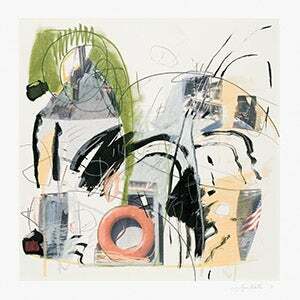 These customizable pieces utilize the same layering of imagery so prevalent in her works on paper. Civic Center MOVES is a free fitness series for all levels produced year-round by the nonprofit Civic Center Conservancy. 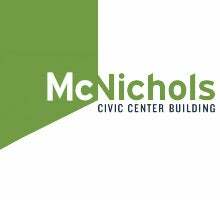 From late April through early October, the classes are outdoors in Civic Center Park; from mid-October through April, classes are indoors at the Civic Center McNichols Building. For possible schedule/location adjustments, please follow Civic Center MOVES on Facebook.